If you are a federal and/or contracted furloughed worker, you qualify for a chance to get you and your family free groceries. 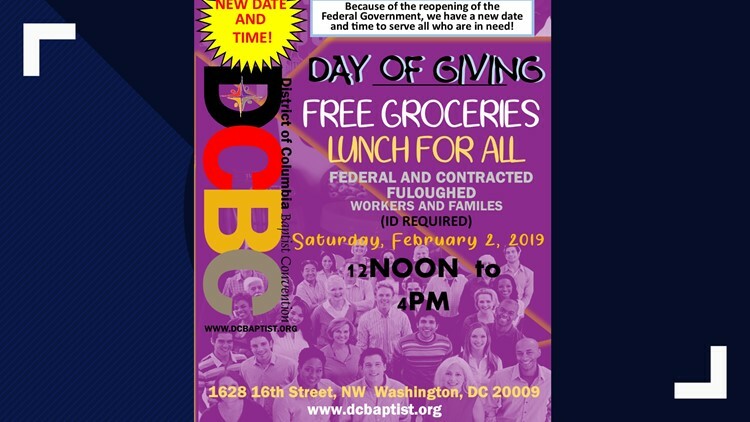 After realizing how hard it is for furloughed workers and their families to stay financially stable due to the government shutdown, The DC Baptist Convention and Feed the Children will be giving away free groceries. If your interested in finding out how you can get free groceries for you and your family visit their website.